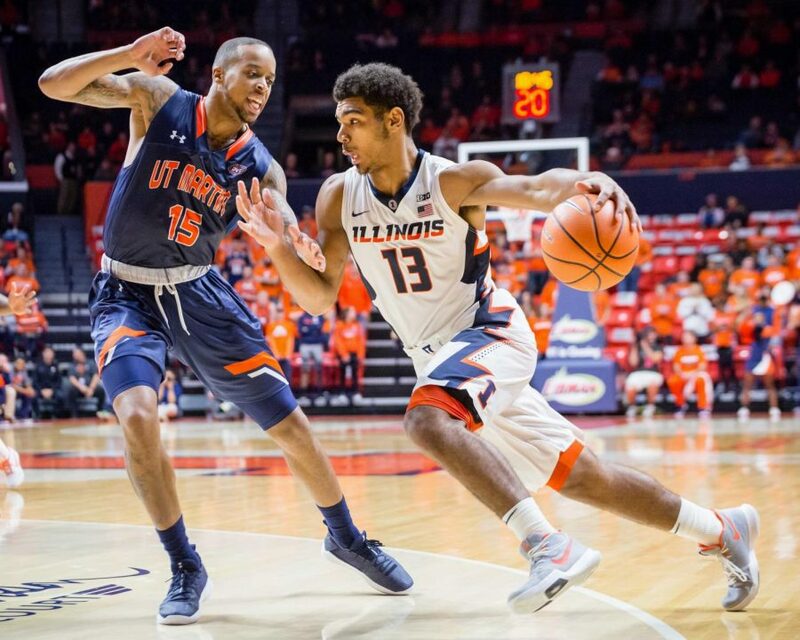 Illinois guard Mark Smith (13) drives to the basket during the game against Tennessee-Martin at State Farm Center on Sunday, Nov. 12, 2017. 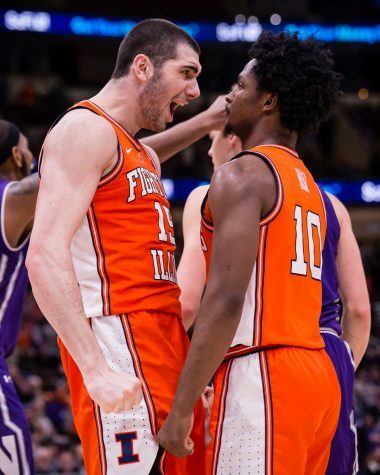 The Illini won 77-74. 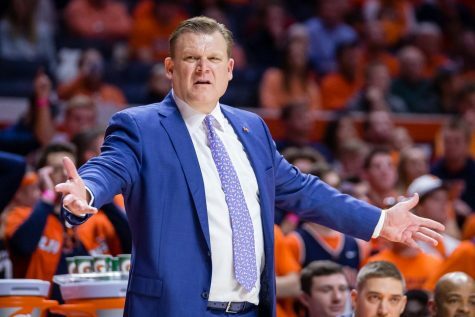 With two games in the books, the Brad Underwood era is officially underway, and so far, so good. 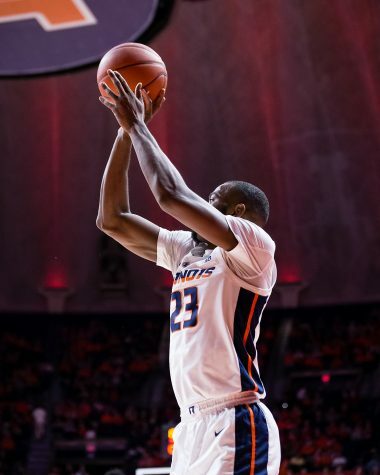 The Illini are 2-0 after picking up wins against Southern and UT Martin. 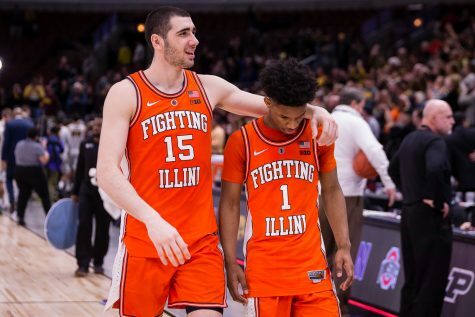 Game one was a breeze, and while there were times that Illinois exhibited dominance in game two, some of the team’s weaknesses came out of the woodworks. Against UT Martin, Underwood’s team struggled to hit three-pointers, going 6-21 from deep. 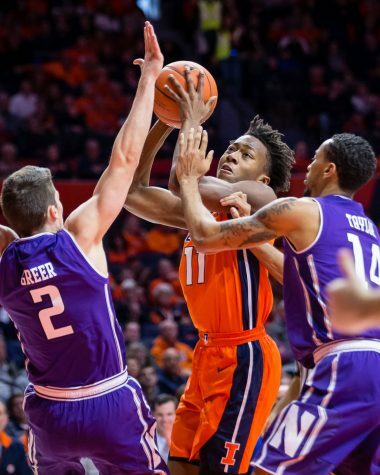 Additionally, there were some issues against the zone defense, which led to 18 Illini turnovers that allowed the Skyhawks to hang in the game. But despite the struggles, the team definitely has a different feel to it this season. Underwood’s system was talked about all offseason, but through two games, there really is a noticeable difference in the way these guys play. 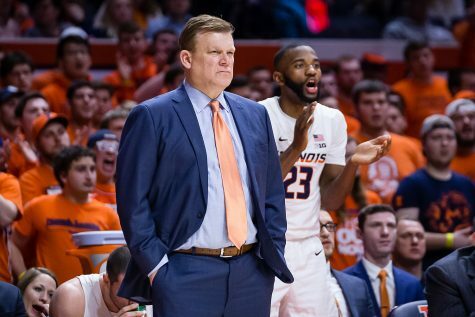 Players like Mark Alstork, Te’Jon Lucas, Trent Frazier, Leron Black and Mark Smith have been all over the ball defensively, making it tough for their opponents to execute crisp passing and creating plenty of turnovers of their own. The speed of play is noticeably quicker, and the offense has been very efficient besides the missed shots. They have been able to create plenty of great looks, leading to a total of 179 points scored in the first two games. DePaul has also looked solid thus far. Though they dropped their first game to No. 13 Notre Dame, the Blue Demons were in it throughout but were unable to hang on in the second half. The Blue Demons feature two legitimate scorers in Tre’Darius McCallum and Max Strus, who are averaging 15.5 and 13.0 points per game, respectively. 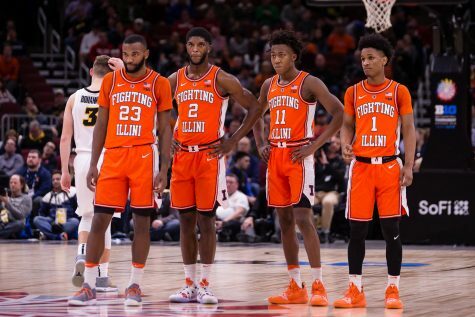 Though they’ve had just two games, DePaul is no joke and looks to be the first real test for the young Illini squad. After a big game one, Alstork was basically a non-factor in game two. 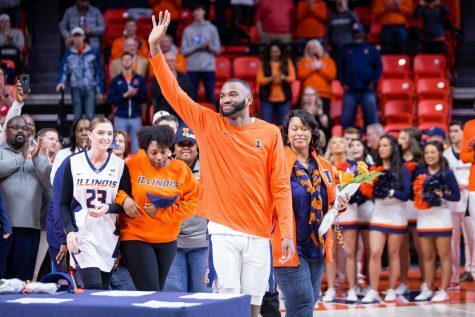 The fifth-year transfer will need to have a better shooting night and continue to get involved on the glass on Friday if the Illini want to secure a win. Alstork is the most experienced player on the team, and he will have to have a bounce-back game. 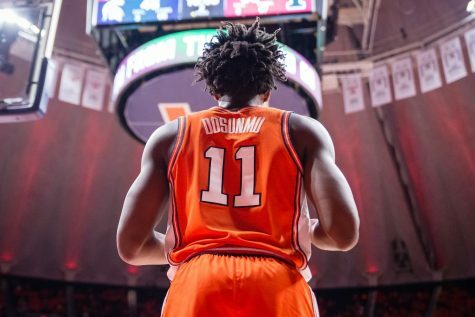 Though he had his way against Southern, his shot simply was not falling in game two, leading to more playing time for the group of freshman guards. Look for Alstork to come back in a big way. Black has been the best player on the team through two games, and the physical forward has no signs of slowing down. Through two games, Black has averaged 18.5 points and seven rebounds per game. His mid-range game has been automatic and he has been able to finish well in the post. Black will need to have a big game on both sides of the floor if the Illini want to pick up a win on Friday night. Finke has had two solid outings so far, but after Sunday’s game, Underwood said he wants him to be shooting the ball more. 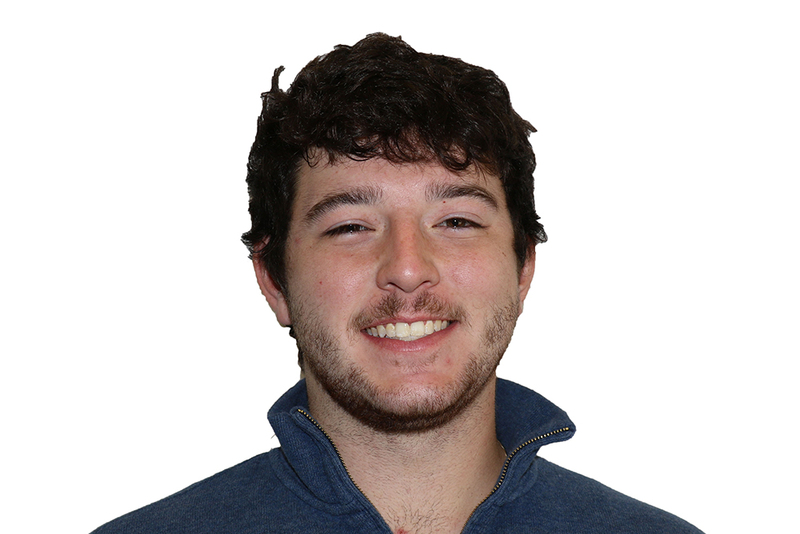 Finke very well may be the best natural scorer on the team in terms of his range and his own unique shots, but through two games he is averaging just 12 points. Look for him to shoot the ball more and get involved in the inside-out game. He is the true definition of a stretch-four and is the ideal piece in Underwood’s system. I think the game will be close in the first half, but that the Illini will pull away early in the second. Black and Finke should both have big games and guys like Smith and Alstork will be able to get to the rim at will. 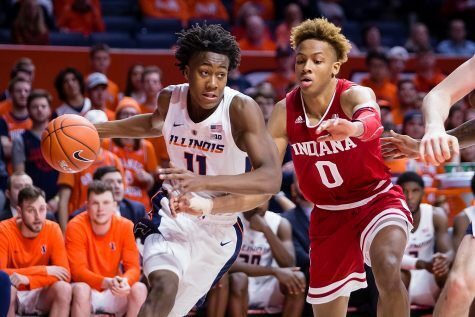 Illinois will win by double digits in its biggest matchup so far.